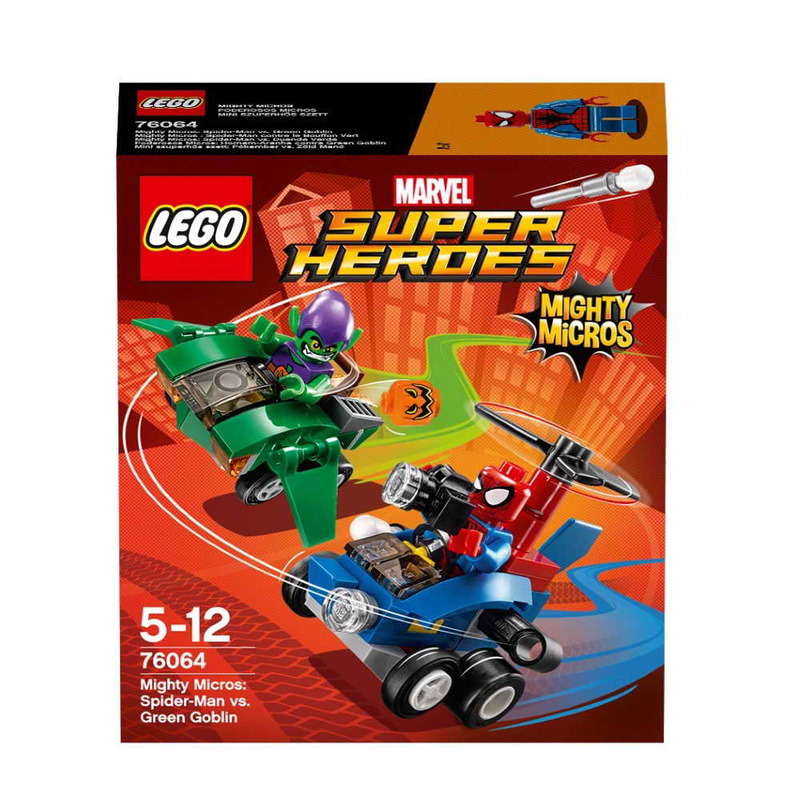 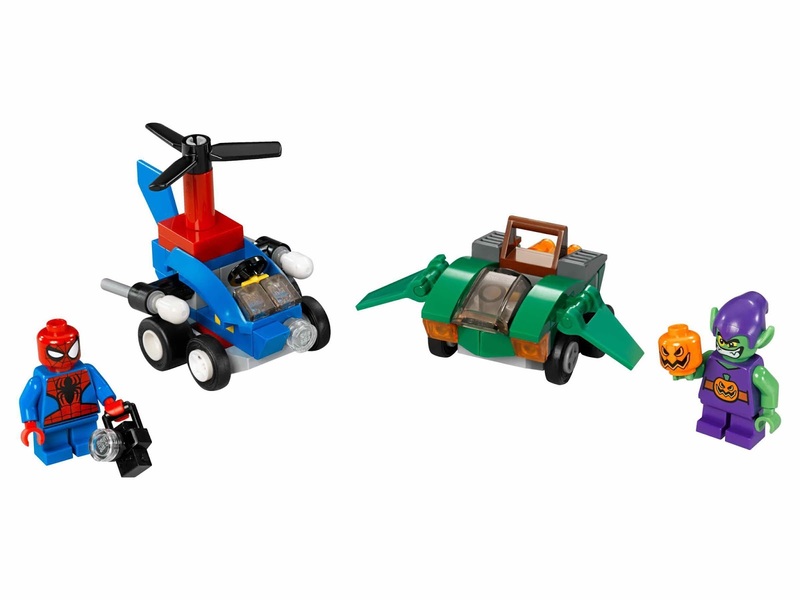 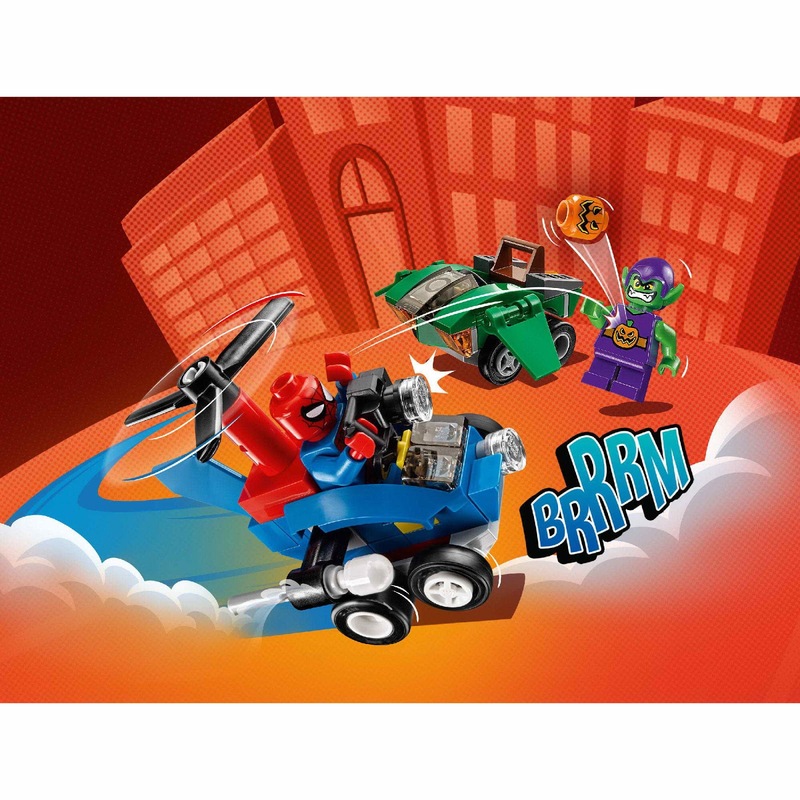 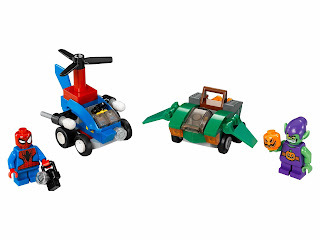 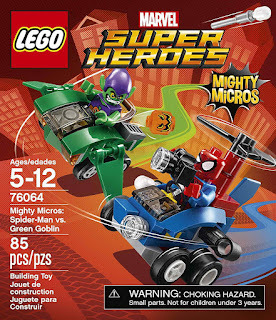 come with a spider man's mighty micros helicopter and a green goblin's mighty micros glider. 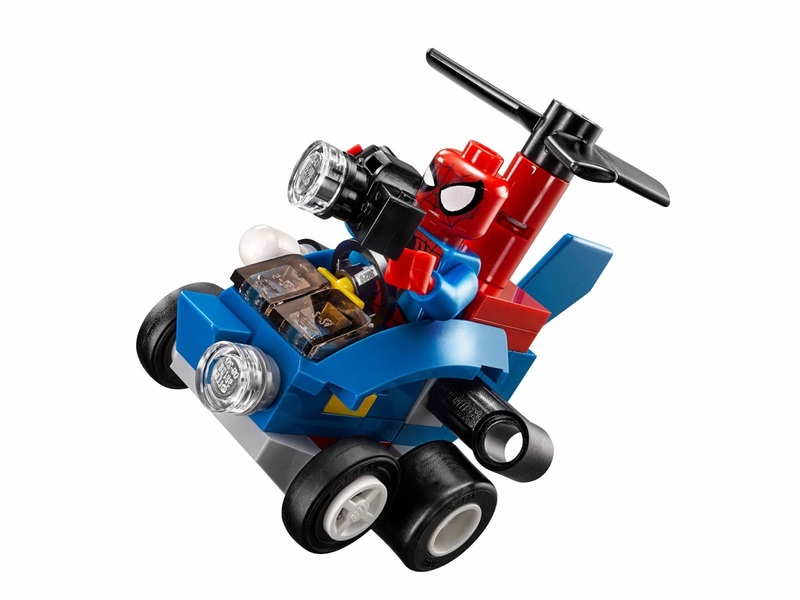 the helicopter has turnable wheels, spinnable rotors and 2 flick missiles. 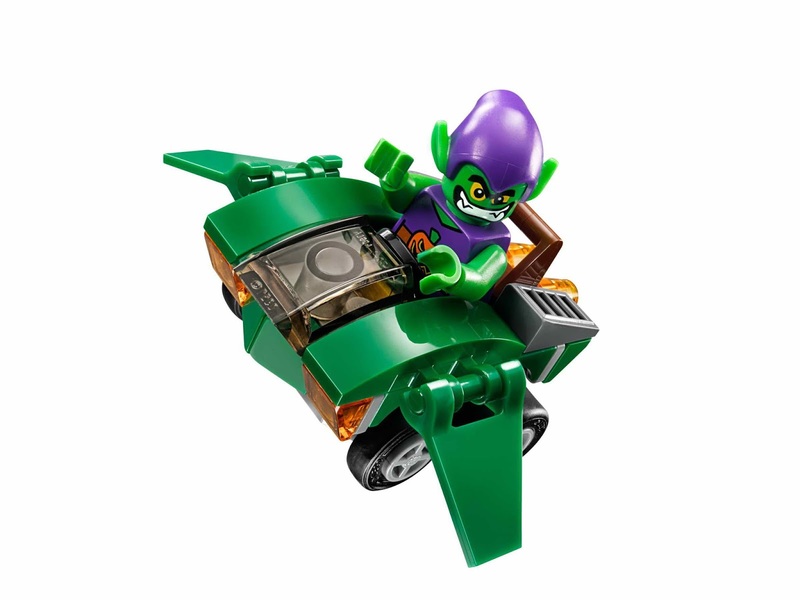 the glider has turnable wheels and flippable down wings. 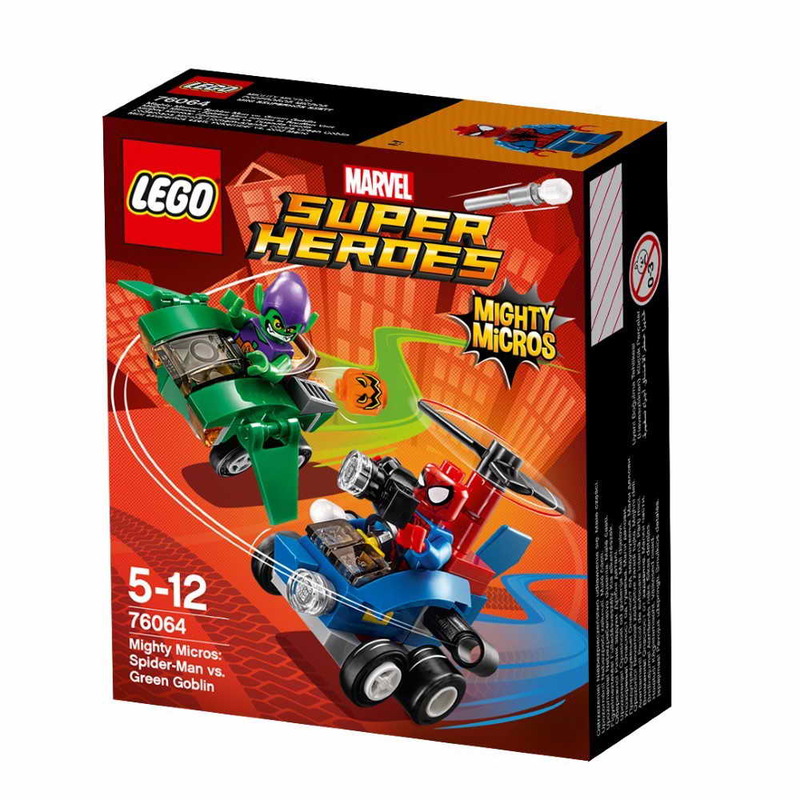 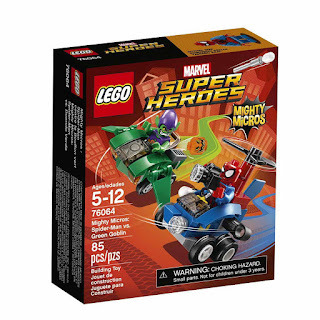 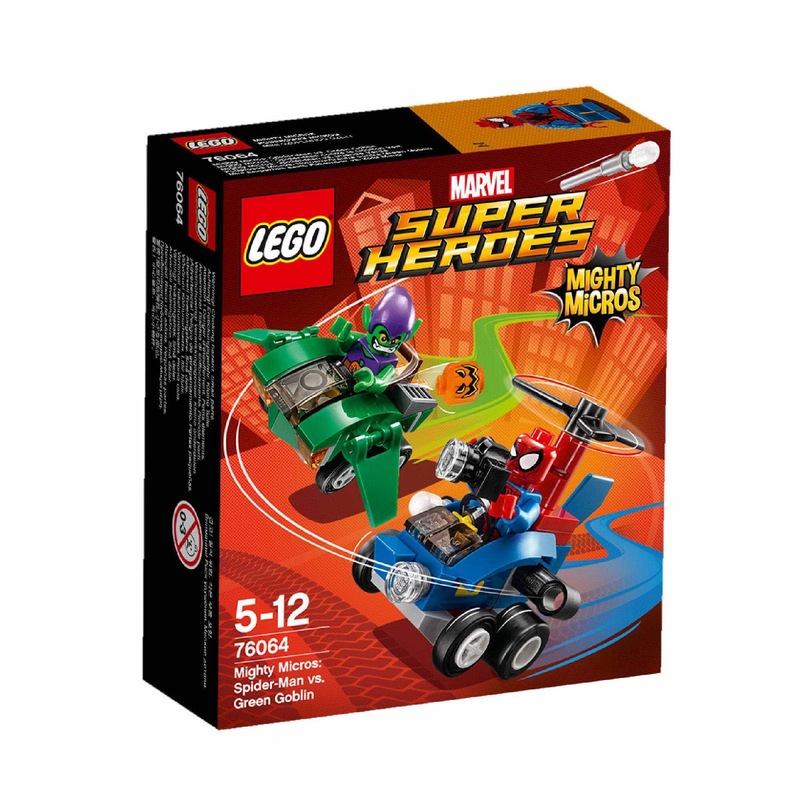 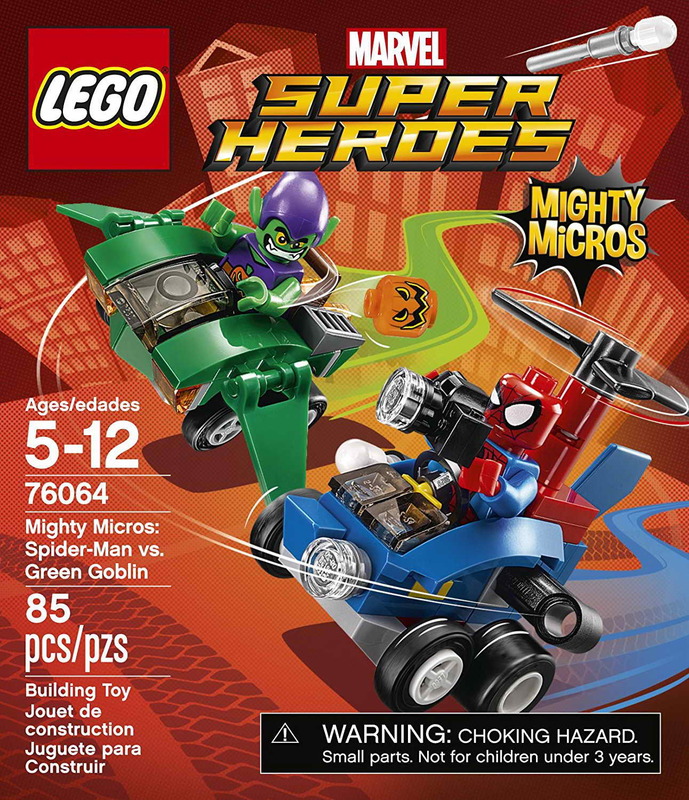 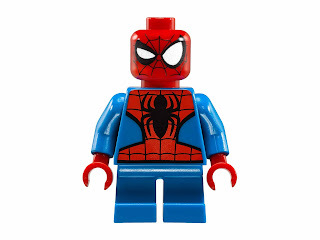 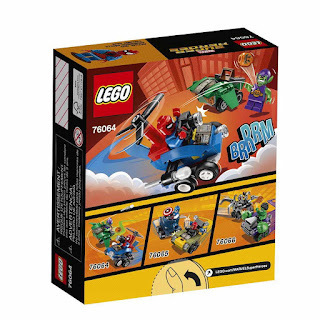 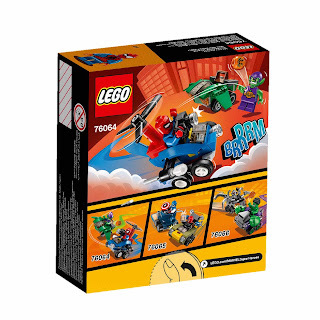 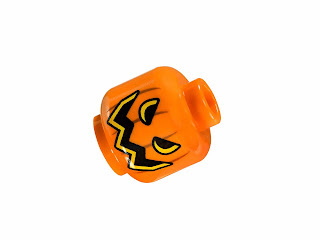 minifigs included a spider man minifig and a green goblin minifig.